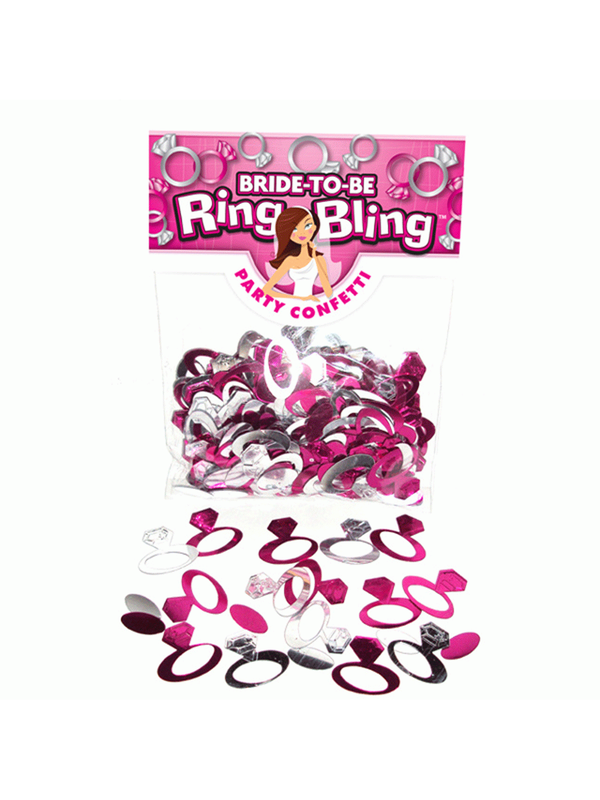 Hen Night Party Bling Ring Table Confetti! A super bling ring table decoration for your hen party. Spread this generous sized pack around the room, put in on the table the limo or in the party bags. A great blinging extra for your hen night party.